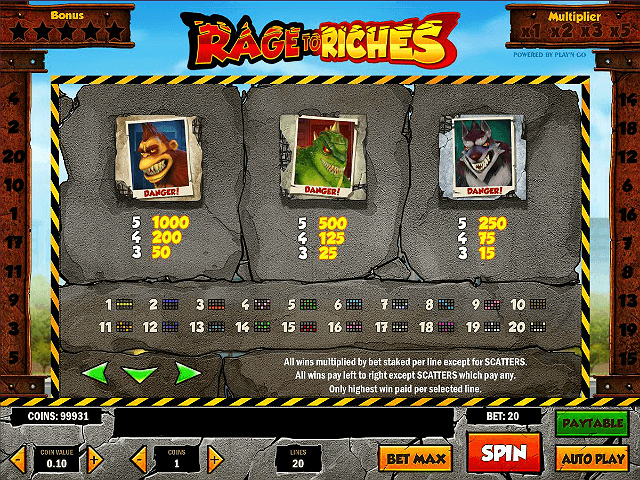 Play Rage to Riches Slot Demo for Free! Play Rage to Riches for Real Money! 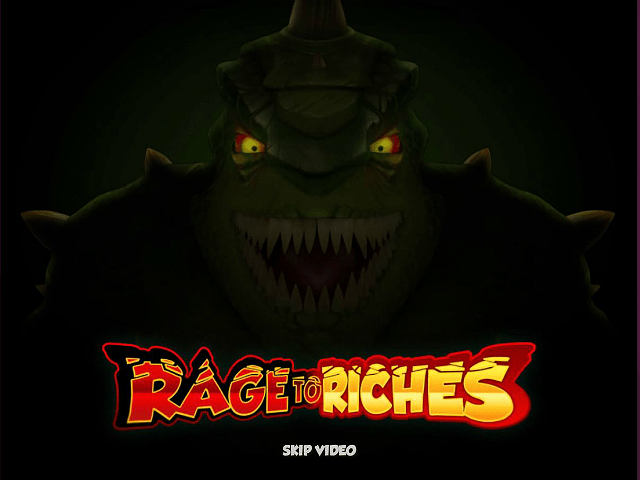 The potential for a movie based on the Rage to Riches slot is obvious given the high-profile nature of the characters, and the cinematic feel that helps to elevate the game to the next level. 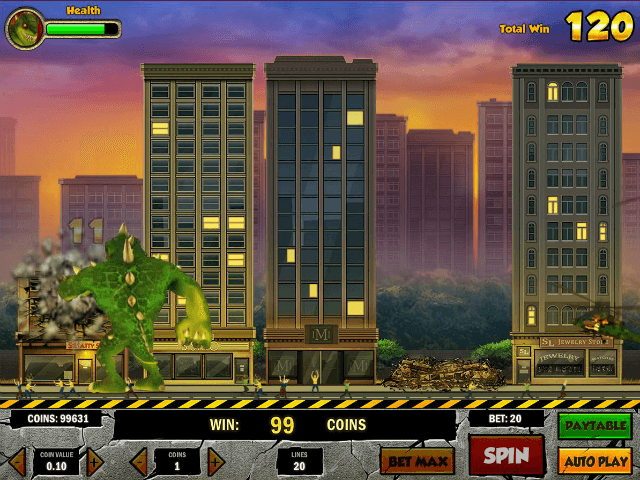 The setting is a tower block – made famous from the King Kong series of movies – and the game’s symbols are all placed on a brickwork background for the full effect. The tumbling reels feature is a staple of Play 'n GO games, and once again it comes to the fore. After every winning spin, the icons involved disappear to be replaced on your reels by new ones, which can also then create wins. Each winning combo in the sequence adds another light on the multiplier power bar in the top right-hand corner. In addition to those icons outlined above, the Rage to Riches slot machine also features a pair of special symbols that will brighten up your day. First up we have the wild, which is apt given the tantrums thrown by the characters involved. This is the Rage to Riches logo, and its sole purpose is to substitute for all other icons (apart from the scatter) to deliver new winning combinations. The scatter holds many of the aces. This emblem, portrayed by the damsel in distress, pays out anywhere on your reels for matching three or more. What’s more, it triggers the free spins feature, with ten freebies awarded in the first instance although this can be re-triggered by more scatters up to a total of 50. 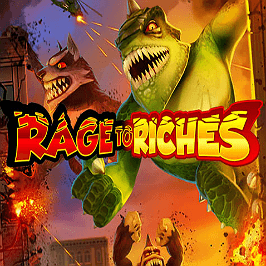 The Rage to Riches slot free spins play out much like those of other slot games but with one crucial difference: a win is guaranteed with every third spin of the reels. The scatter will also trigger the Collect feature when five wins are accumulated. At this point King Kong starts climbing up the tower blocks and smashes the windows, earning you cash prizes. A total of 100-times your bet could be won. Software house Play 'n Go has made a beastly slot that packs a punch. Use the fire inside the game’s trio of lead characters to put a smile on your face. 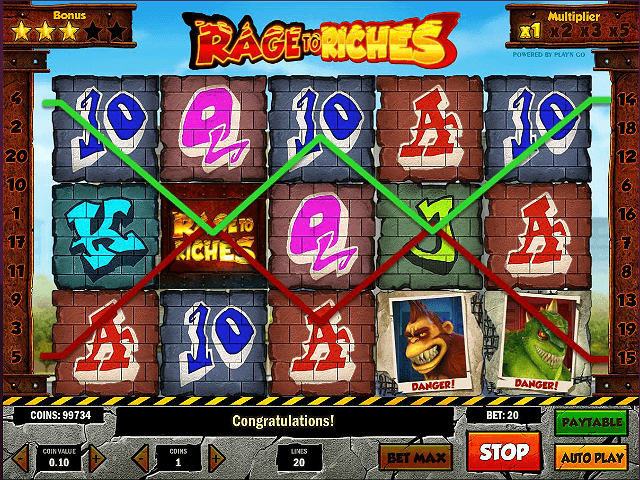 Share this Rage to Riches Review today! If you like Rage to Riches, you'll love these slot titles too!